Three week, 5-day/week sport specific training program to improve your performance on the Beep Test – also known as the multi-stage fitness test, bleep test, pacer test, Leger-test or 20-m shuttle run test. 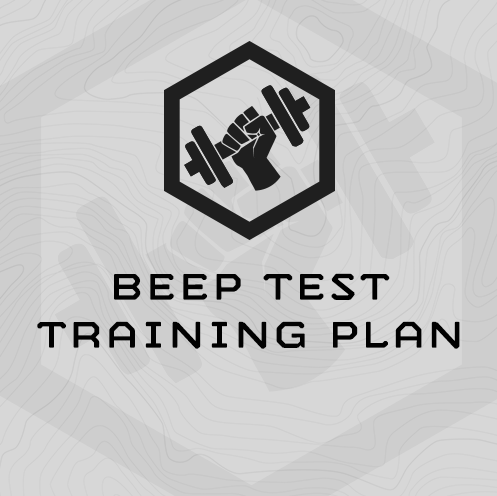 This training program includes focused Beep Test testing and progression, as well as general fitness training. You’ll perform the actual Beep Test every Monday. (1) 10 Rounds, every 120 sec.